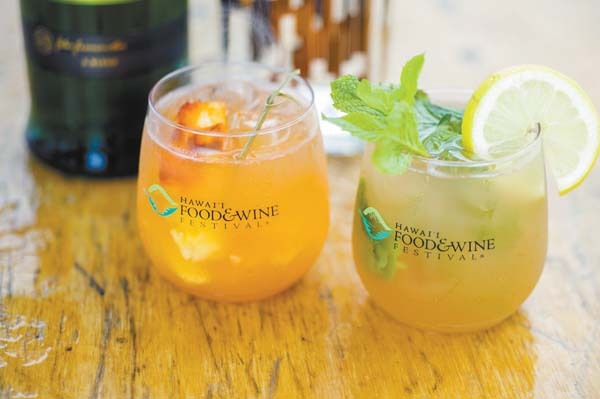 Pegged the “premier epicurean event of the Pacific,” the seventh annual Hawaii Food & Wine Festival will kick off on Maui this weekend, before it moves to the Big Island for one night on Oct. 28 and then Oahu for five days and nights from Nov. 1 to 5. In all there will be 120 world-class chefs, 50 winemakers and a dozen mixologists bringing their talents together from across the globe on three separate islands — no small feat, indeed — and more than 10,000 people will attend. Since the opener of Roy’s Annual Golf Classic is already sold out, let’s talk about the Global Street Food affair that will light up the Sheraton Maui Resort & Spa’s ocean lawn Friday night with a fireworks display as the grand finale. “Street food is a big part of the culinary heritages across the globe. From Hawaii and the Mainland, to places like Asia, Europe and India. One of the best ways to experience a new place is by sampling street foods that are unique to each culture,” says Sheraton Maui Executive Chef Lyndon Honda, who will host 12 celebrated chefs from all over the world. “Guests will get to taste playful, elevated dishes inspired by the many foods that are loved across cultures, and commonly found at a sidewalk push cart or street vendor,” Honda continues. But these chefs will be cooking with the state’s freshest seafood, meats and produce and their foods will be paired with fine wines, craft cocktails and thirst-quenching beers under a colorful fireworks display just offshore of the event. Superstar chefs such as David LeFevre of Fishing With Dynamite, Arthur J’s and M.B. Post in Manhattan Beach, Calif., will be on hand. 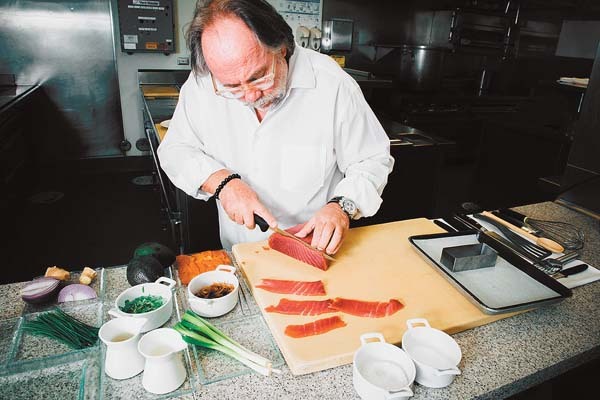 A former protege of Charlie Trotter in his kitchens and on his PBS show, LeFevre globe-trotted all over Asia, the Caribbean and Europe before making a name in LA. He’ll lure you in with fresh Kona kampachi over somen with apple ponzu, shiso and puffed buckwheat. Mendelsohn will give street cred to grilled kabocha-squash tacos filled with pohole fern shoots, Kula-onion slaw, watercress, corn shoots and lilikoi salsa. A repeat Maui visitor, Waxman will braise lamb and chorizo for his street tacos; and Chinn and Wakiya will independently take your taste buds to Asia with bao buns and crispy lobster spring rolls drizzled with chili sauce. Born in New Zealand, Chinn shot to TV star status on such shows as “World Cafe” and “Top Chef Middle East. He opened two award-winning restaurants in Vietnam and has relocated to London. Born in the Hokkaido prefecture of Japan, Wakiya is a Japanese chef based in Tokyo who got famous for his Chinese cuisine. Honda is no slouch in the Hawaii chef scene either. 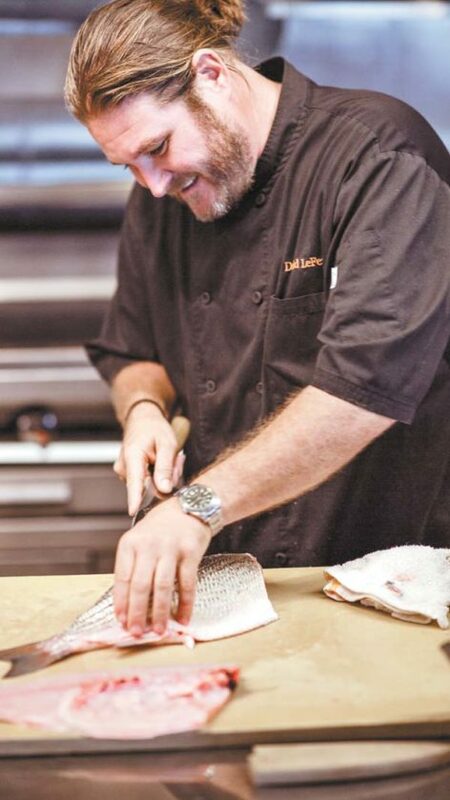 Before taking over the Sheraton Maui kitchens, he was executive chef, general manager and culinary consultant for top Maui businesses as well as owner of his catering company. He’ll wow with bacon-maple churro funnel cakes with foie-gras ice cream; and Gale Gand of Tru in Chicago will tempt with almond cakes, roasted pineapple carpaccio, macadamia-nut brittle and coconut crema. “Maui has played a key role in putting Hawaii on the culinary map so it’s a natural place to launch the festival,” explains HFWF Chief Executive Officer Denise Yamaguchi, wife of festival co-founder Roy Yamaguchi, an original Hawaii Regional Cuisine chef and James Beard Award winner. 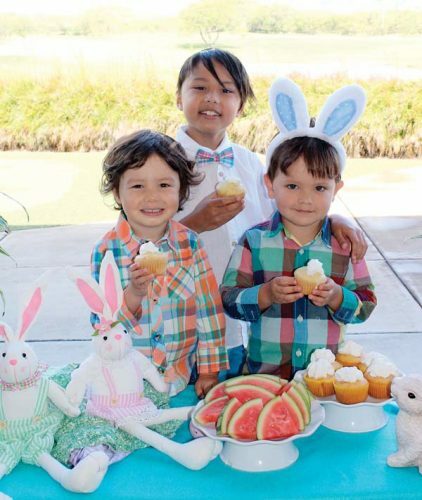 The Grown on Maui Market will be festive from 7:30 a.m. to noon Saturday and Maui farmers and food producers will showcase locally grown goods by the Kaanapali Beachwalk in Whalers Village in the center of the resort. Chefs from all the Maui events will take part in a meet and greet with media and fans from 11 to 11:30 a.m. Saturday. 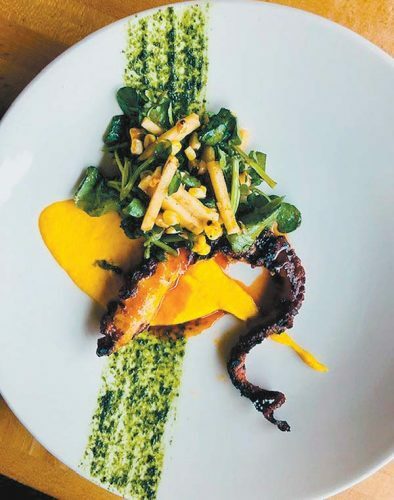 “Hawaii Regional Cuisine grew from relationships that the chefs developed with farmers, ranchers and fisherman,” says Charlene Kauhane, spokesperson for the daytime event. 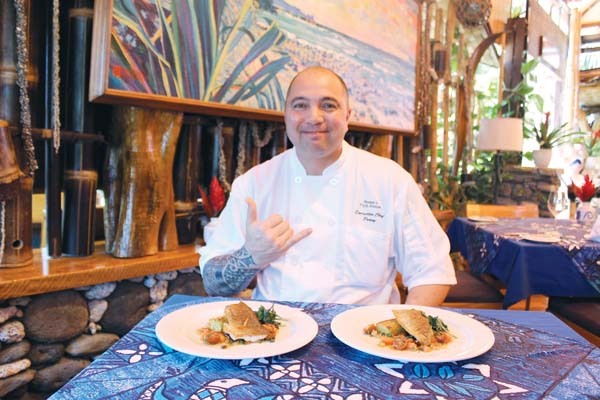 Chef Charlie Owen of Hula Grill Ka’anapali will create a locally sourced breakfast featuring Malama Farms 100-percent Berkshire (Kurobuta) pork as sausages to be served with omelettes and pancakes. Parking is free when validated. “It will be great to see the Ka’anapali Beachwalk lined with farmers and food producers,” says Shelley Kekuna, executive director, Ka’anapali Beach Resort Association. 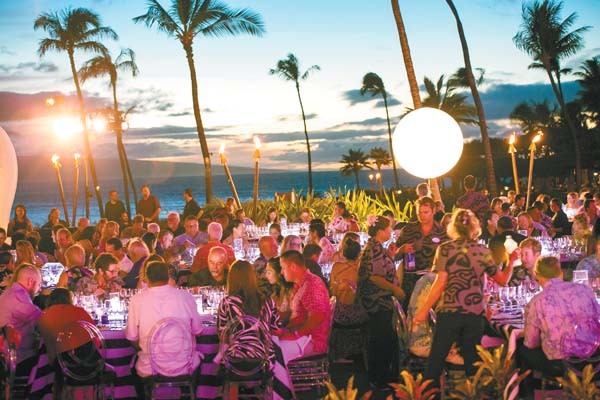 On Sunday evening, HFWF will move to the Hyatt Regency Maui Resort & Spa’s outdoor Halona Kai lawn. Hawaiian Airlines Presents Lucky 7 is the name of the gala sit-down event and it refers to the number of years the festival has been in existence. Dine under the stars with panoramic views of the ocean and Neighbor Islands as you savor cuisine by six famous chefs and sip fine pairings by Southern Glazer’s Wine & Spirits. Lauded as a “Legendary Chef” by Bon Appetit magazine, Joachim Splichal is renowned for helping to put Los Angeles on the culinary map. As owner of the Patina Restaurant Group, he’s a major force in the U.S. culinary field and also owns restaurants in New York and beyond. 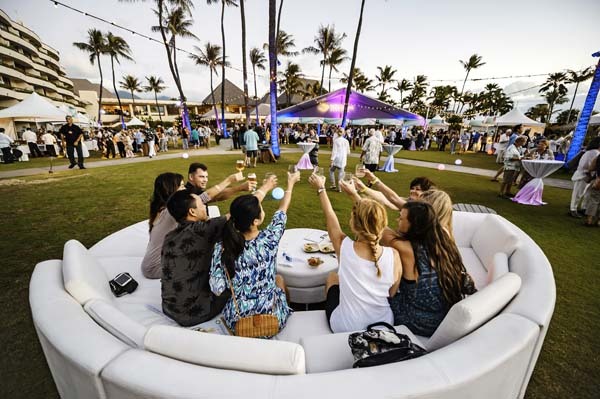 The Hyatt Regency Maui Resort & Spa’s outdoor Halona Kai lawn will set the stage at 6 p.m. Sunday for Hawaiian Airlines Presents Lucky 7 with famous chefs and fine wines. Splichal will make medallion of Hawaiian venison with celery root three ways and roasted peppered pineapple foie gras salsa. “I worked with Joachim back in the mid 1990s, hence why he is coming to Maui and ‘The Lucky 7’ this year!” exclaimed Hyatt Maui Executive Chef Greg Grohowski when he contacted The Maui News from Hana as he listened to waves crash on the beach and “Somewhere Over The Rainbow” sweetly sung by Braddah IZ. 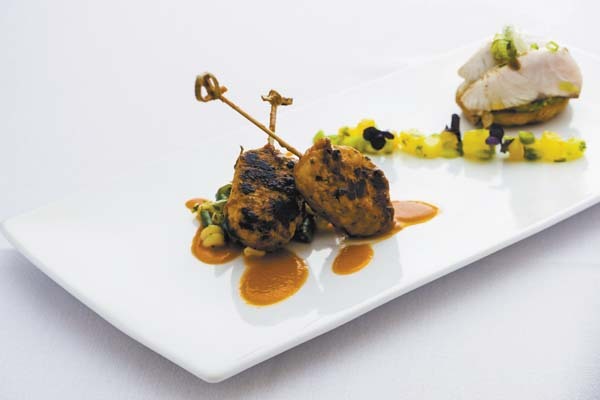 A four-time James Beard Award nominee and the winner of “Top Chef Masters” Season three, Cardoz shot to fame at the former Tabla in New York City. He has returned to his culinary roots of Bombay, India, to run Paowalla in the Big Apple. At the dinner, he will make kampachi ceviche, coconut-kokum broth, hearts of palm and black rice. “The remaining three chefs come via California and Texas,” said Grohowski. James Beard Award-winner Stephan Pyles is from Flora Street Cafe in Dallas. He’ll make lobster tamale pie with caviar. Jason Neroni of Rose Cafe in Venice, Calif., has cooked from Spago to Chez Panisse to El Bulli in Spain. He’ll smoke big-eye tuna over coals with cashew hummus, charred Maui onion petals, yuzu dashi, Thai basil and long beans. Niki Nakayama is the chef-owner of n/naka in Los Angeles. One of six stars on Netflix series “Chef’s Table,” she will braised abalone and serve with poached foie gras. 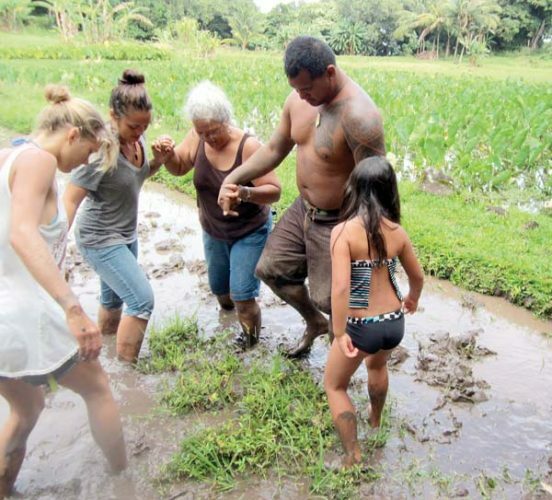 Maui beneficiaries are Maui County Farm Bureau, UH-Maui College Culinary Arts Program and IMUA Family Services. HFWF has raised $1.7 million since its 2011 launch. • Roy’s annual Golf Classic: Tees off at Ka’anapali Golf Course Friday. Sold out, it benefits the IMUA Family Services nonprofit. 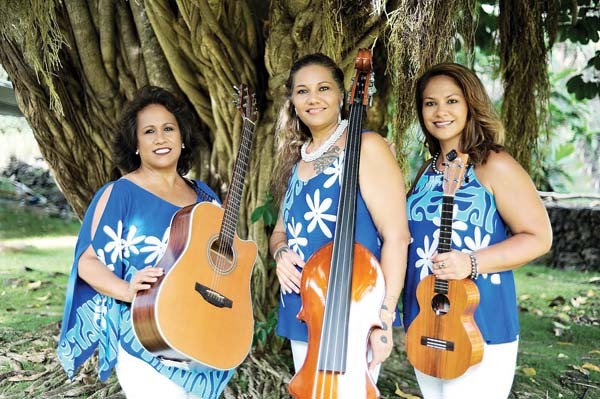 • Grown on Maui Market: Whalers Village will be jumping from 7:30 a.m. to noon with fresh Upcountry produce, farmers and vendors. Free admission and free validated parking. • Global Street Food: Rolls into the Sheraton Maui Resort & Spa ocean lawn Saturday evening. The general admission tickets are $208.32 and VIP tickets are $312.48. 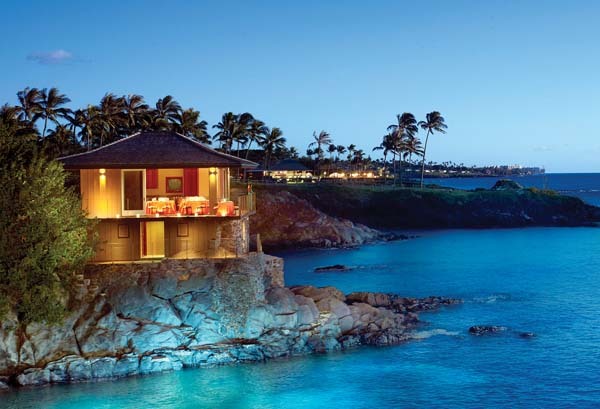 • Hawaiian Airlines Presents The Lucky 7: Hyatt Regency Maui Resort & Spa will dazzle under the stars with superstar chefs and world-class wine pairings. Tickets for this sit-down gala are $260.40 per person; or $520.80 for VIPs. • For more details: For tickets and the complete HFWF17 schedule, visit www.HFWF.me.